Once a symbol of masculinity, of brute force over a fellow man, the silk boxer short is one of a gentleman. 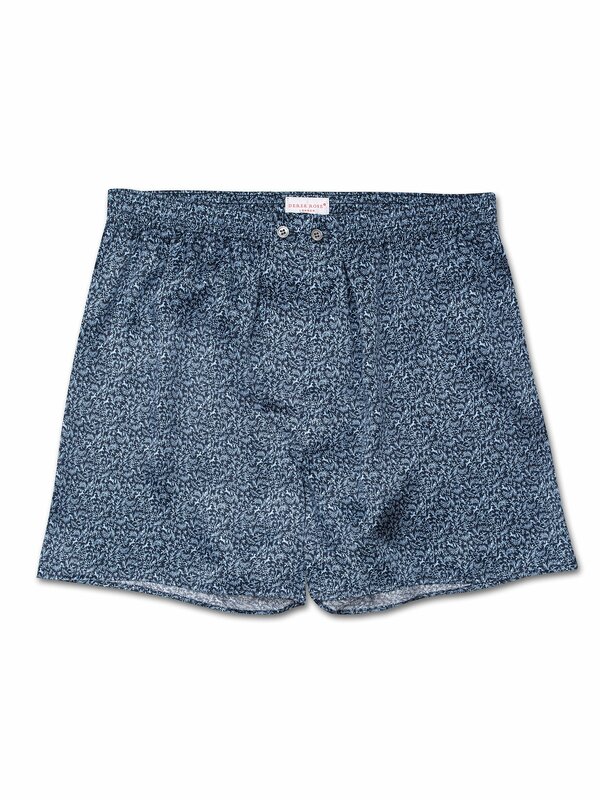 At Derek Rose, we first started making boxer shorts using the short length of fabric left over from our pyjama cloths. The two button adjustable waistbands of our waistbands were modelled on those of our pyjamas — we wanted to keep the same level of quality and comfort in our underwear. Our classic boxer short shape is generous for those who prefer more coverage and a looser fit. Cut from the finest silk, these boxer shorts are supremely soft and have an elegant satin finish.